The global leader in telecommunication and digital media, Samsung and Alltel Wireless has announced its new stylish bar-type mobile phone – Samsung Freeform SCH-r351, which comes with four-row QWERTY keyboard. The Freeform is a sleek and stylish bar phone with a variety of appealing capabilities for Alltel Wireless customers. In addition, the new Samsung Freeform SCH-r351 is equipped with a larger 2.2-inch QCIF color LCD display that enables enhanced viewing experience of photographs. Furthermore, the mobile phone is also equipped with Stereo Bluetooth Wireless Technology that allowing users to truly go wireless and microSD card slot that expandable memory up to 16GB. Samsung Freeform SCH-r351 mobile phone also comes with GPS that supports Alltel Navigation, music player, voice recognition, and speakerphone. It also capable of multiple messaging options feature and threaded text entry, which lets users send text messages instantly. On the other hand, the Freeform exhilarates all its users with other appealing features such as numerous wallpaper and ringtone options through Alltel Shop alongside access to games, ringtones and wallpapers through downloadable content. 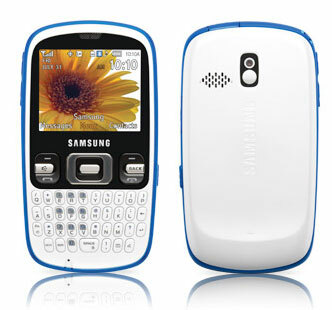 The Samsung Freeform SCH-r351 mobile phone is available in two colors: Teal and Burgundy. The phone measures just 112 x 61 x 13 mm and weighs only 103 g. The Samsung Freeform is available at Alltel retail stores or at www.shopalltel.com for the price from US $70 with 1-year agreement and for US $200 without agreement.